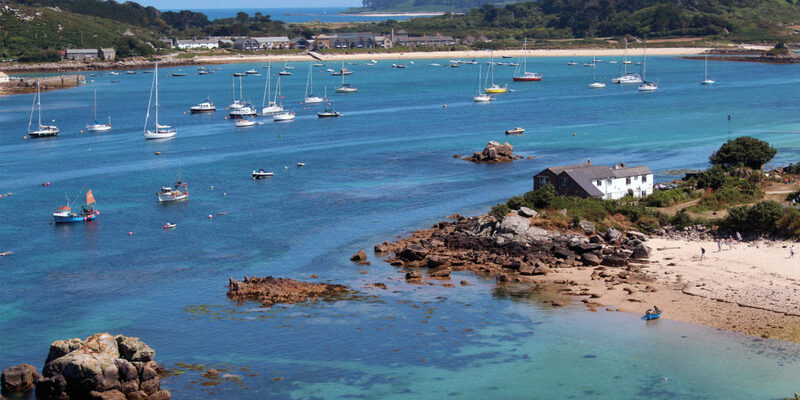 Discovering the enchanting archipelago of the Isles of Scilly with man’s best friend. For those with busy lives trying to arrange a weekend away and find a date that suits family and work commitments can be a challenge. 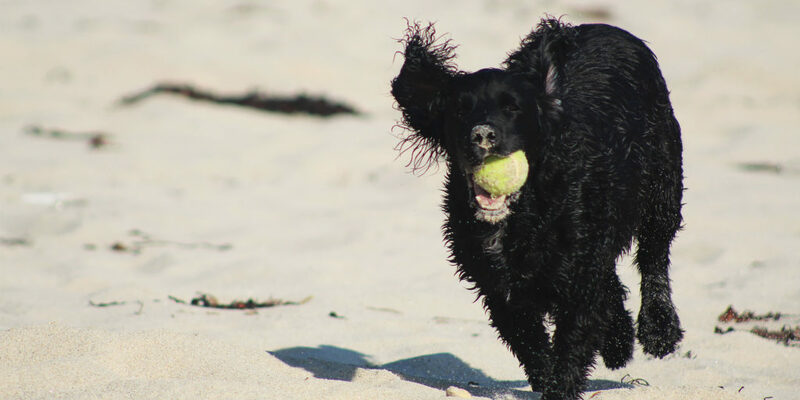 Luckily with a trip to Scilly this doesn’t include having to find someone to look after your dog, as Scilly is renowned for being dog friendly. And so it was that my wife and I and our trusty hound, Lev, set off in the early part of this summer on an amazing Scilly adventure. Flying to the Scillies on the Skybus from Lands End is, in my view, the only way to travel to the islands. As you leave the mainland behind, with the Longships lighthouse in the distance, each passing second of the short 15 minute flight sees your worries and stresses just slip away. On arrival we are collected from the airport by the Tresco Shuttle team who transfer us to St Mary’s quay and our boat transfer to Bryher. There’s nothing quite like the sights, sounds and smell of the quayside to make you feel ‘at home’ on Scilly – salty air, azure blue skies reflected in clear waters and the bustle of boatmen helping visitors board the off-island launches. After a short trip across the water we arrive at our home for the weekend – the award-winning Hell Bay Hotel, a private oasis, set in an idyllic cove overlooking the Atlantic Ocean. We are shown to a lovely suite, with our own secluded patio on which to relax and soak up Scilly. Once unpacked, with tummies rumbling, we set of in search of lunch. 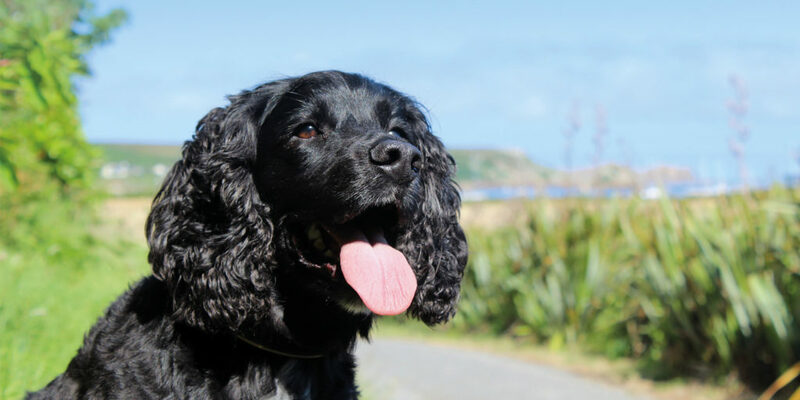 We had heard that Bryher-based Island Fish serves the freshest catch and Lev loved the short walk from the hotel, and spent a happy time exploring lots of new smells amongst the ferns and the heather. Offering an eat in or takeaway menu, my choice of lobster, served with potato wedges and coleslaw lunch is a steal at only £10 and both this and my wife’s crab quiche are to die for. After a wonderful night’s sleep, induced by all that fresh air and the sound of the ocean, we breakfast in the hotel before heading out for a day on Tresco. 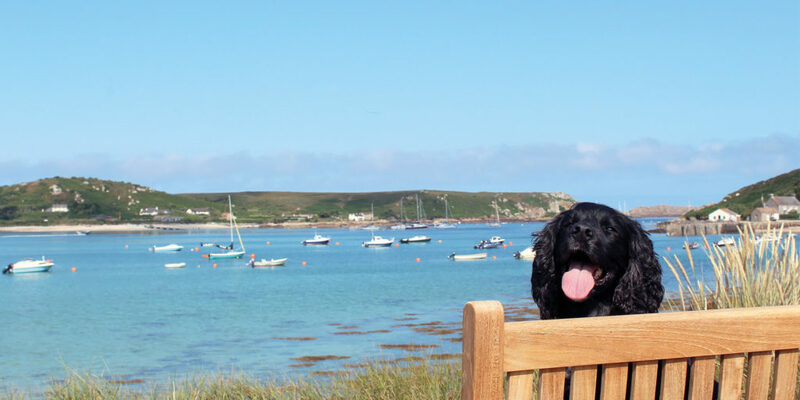 Both the island of Tresco and its gardens are dog friendly to well-behaved pooches on leads. 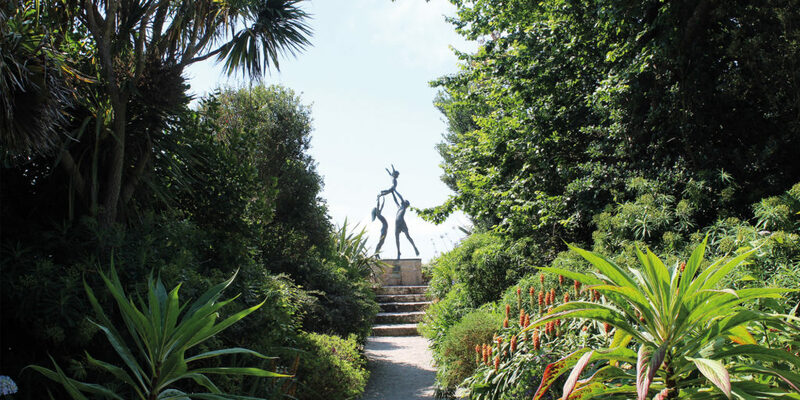 We have always wanted to visit the Tresco Abbey Garden and were intrigued as to what we would find. We weren’t disappointed – the garden is stunning, a sub-tropical gem, home to thousands of exotic plants from around the world. Built in the 19th century around the ruins of a Benedictine abbey, a meander around the garden reveals David Wynne’s magnificent ‘Children’ sculpture that rises majestically behind a border of vibrant Agapanthus. The Abbey Garden just keeps on giving at every turn and the unique Valhalla museum, with its 30 figureheads from Scillies’ shipwrecks, honours the final century of sailing tradition dating back some 3000 years, and is a fitting end to our garden tour. After our garden tour it’s lunchtime again! And what a lunch it is, declared to be: “one of the best ever” by my wife. 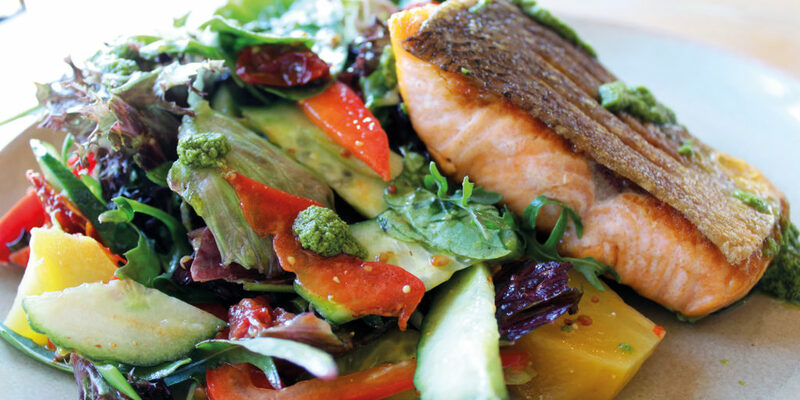 Our vegetarian sharing platter and succulent pan-fried fish are enjoyed overlooking this exquisitely beautiful and peaceful bay. Dogs are only permitted on the terrace at Ruin Beach, but to be honest this is far the best place to sit anyway, overlooking the golden sand and the clear blue water – in fact it looks so inviting that Lev and I just have to have a dip! Walking off lunch takes us to the north end of Tresco and a visit to the ruins of King Charles’s Castle before completing the six-mile walk that circumvents the entire island. After a happy day exploring we return to Hell Bay Hotel sun kissed and happy. The weather has been amazing for our trip and has transformed Scilly into what could easily be mistaken for tropical islands. It’s warm enough for us to dine outside and we are blessed with a romantic sunset to accompany our delicious supper. As our weekend draws to a close, and we prepare for our return to the mainland in the morning, we both comment on how our visit has been one of sheer relaxation. 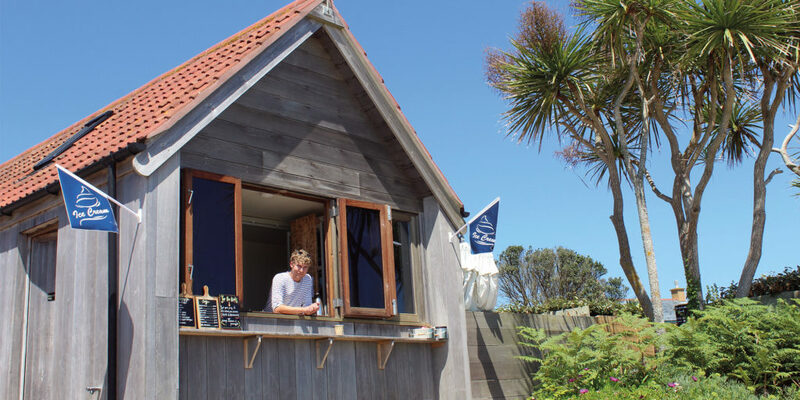 The Scilly way of life has a different pace to the mainland – one that perhaps we all should adopt in order to take in the finer things in life and all that Cornwall and its unique islands have to offer. If you’ve never visited, book soon, you won’t regret it! "After a wonderful night’s sleep, induced by all that fresh air and the sound of the ocean, we breakfast in the hotel before heading out for a day on Tresco"